Southern Africa Development Community (SADC) meeting a waste of time and money, why? Because Swaziland regime doesn't respect human rights. A new auditorium was built to host SADC meetings. King Mswati III does not deserve to be chairman of SADC, because he is a dictator in his own kingdom, he has no respect for the nation, he spends national resources as he pleases with his wives, he has wasted the tax payers money to fund the lavish SADC Summit whist the population starves, like the older generation. The money would be better off spent on providing desperately needed hospitals and equipment. The Swaziland Government has continuously violated the fundamental rights of citizens by preventing freedom of speech and association. Political activists are being jailed, some have died in police custody. The king of Swaziland rules by the 1973 King's Proclamation decree, which banned all political parties. Police have sweeping powers under the 1963 Public Order Act. Prime minister Sibusiso Barnabas Dlamini made it very clear that political activists, should be strangled and beaten with spikes. 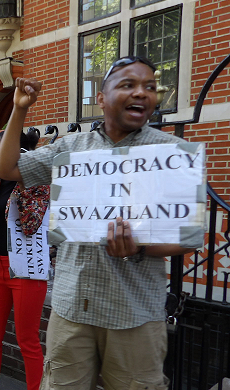 The Swazi nation should be given an opportunity to elect their desired government, with no one influencing or controlling the supreme executive, legislative and judiciary systems. We want all political parties to participate freely without any arrest, torture, intimidation and death. I will not stop shouting and tell the world about what is happening in my country called Swaziland until there is respect for human rights and democracy! Swaziland is ruled by King Mswati lll who is sub-Saharan Africa's last absolute monarch. The King appoints the government and no members of the Swazi Senate are elected by the people. Political parties are not allowed to contest elections. This is because political parties were banned in the Kingdom since 1973 by King Sobhuza ll, the father of King Mswati lll. 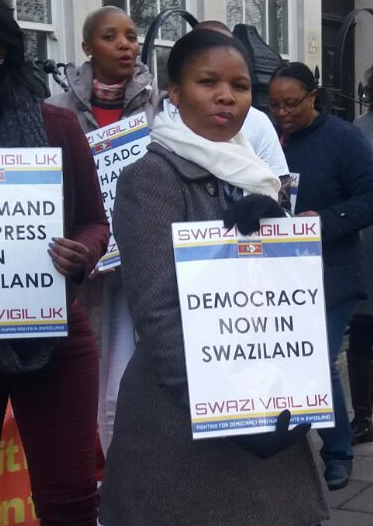 International pressure on Swaziland to democratise has forced the kingdom to review a number of laws. The Public Order Bill of 2016 is presently being discussed in Swaziland's Parliament. The Swazi Observer - a newspaper in effect owned by the king - reported on Wednesday (7 September 2016) that the portfolio committee announced it had no intention of allowing political parties to exist. The newspaper also said that the portfolio committee's report said Swaziland constitution did not provide for political parties. Pro-democracy groups fear the move will criminalize activities of all civil society and pro-democracy groups, including demonstrations and protests against policies of the government. King Mswati III's government has the constitutional mandate to protect citizens from chaos and instability. They also said the law is needed to ensure that security agencies have the necessary legal backing to do their jobs. However, the government is in violation of the bill of rights, which guarantees freedom of movement. The proposed law, The Public Order Bill of 2016 is pre-colonial and will cause dissent in the kingdom. The act restricts so irrationally and unreasonably the freedom of movement to a point that it gives power to an appointee to determine our rights, which among others are fundamental rights of freedom of movement and expression. The amendment of the law will make things worse for the public, it gives power to the commissioner of police to stop any meetings that is a treat to the government and King Mswati lll. The Prime minister of Swaziland Sibusiso Barnabas Dlamini said arrests could be effected by the host country in line with their own laws if the gathered people violated certain laws, (Swazi Observer, 5 September 2016) speaking during the debate of the Public Order Bill 2016. 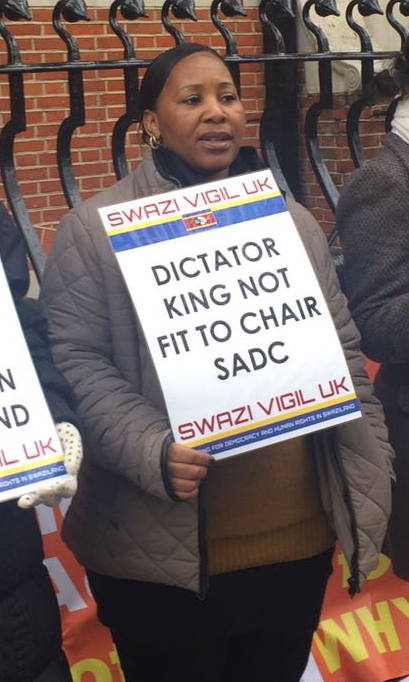 Since the voices of discontent are not allowed within the borders of Swaziland, people remain ignorant of Mswati’s tricks, they are being played and cannot see it even though its right in their face. I believe the security forces will be fully deployed to crash any discontent within the kingdom especially during the pro-democracy gatherings etc, so it is up to us who are in the diaspora to sound the alarm and expose Mswati tricks to the world.